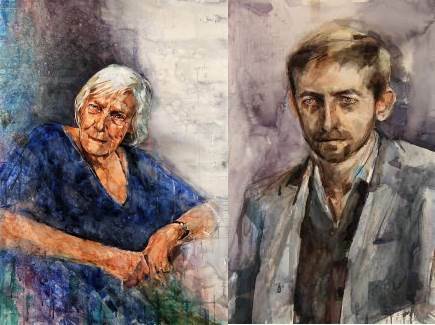 Please get in touch if you'd like to arrange a commissioned portrait. 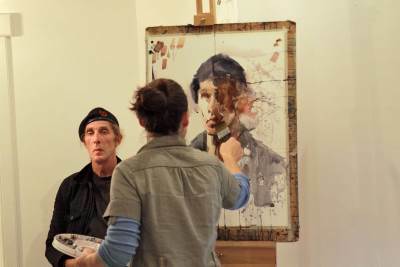 Portraits are made from sittings and photos. They can also be painted from existing photos. 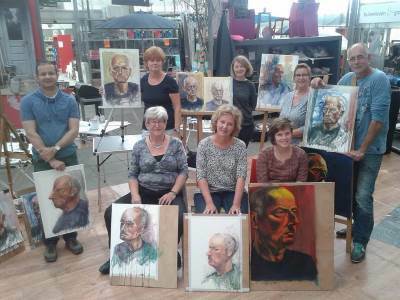 I enjoy giving demonstrations of what I do, if your group would like a portrait or still life demonstration please get in touch. I run regular workshops please get in touch by email to be put on my mailing list. Copyright © 2019 Aine Divine Paintings. All Rights Reserved.